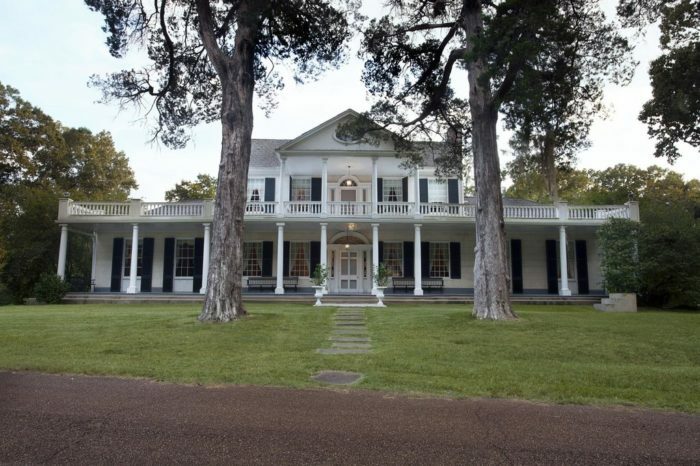 When it comes to B&Bs, Natchez can’t be beat. Seriously. 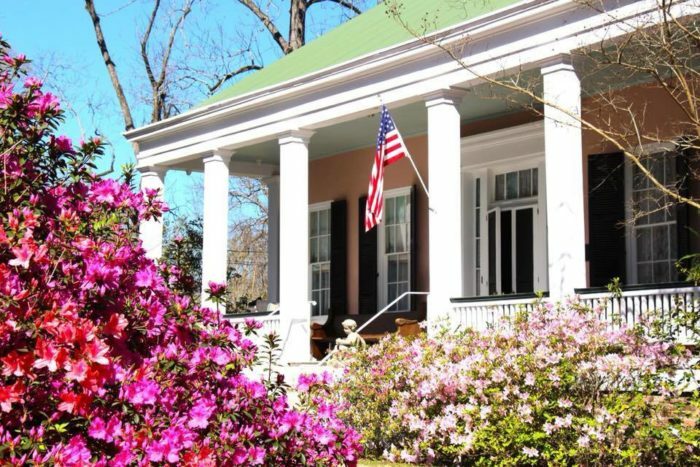 The charming city has actually been dubbed the Bed and Breakfast Capital of the South. And with more than 20 B&Bs in historic mansions, antebellum and Victorian homes, guest houses, cottages, and cabins, it definitely lives up to its nickname. 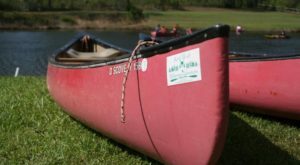 But the variety of accommodations isn’t all Natchez has to offer. Fittingly featured in the book 1,000 Places to See Before You Die, the city abounds with opportunities for fun. Keep reading for a few of the city’s best B&Bs and attractions. When it comes to location, River Edge Suites can’t be beat. 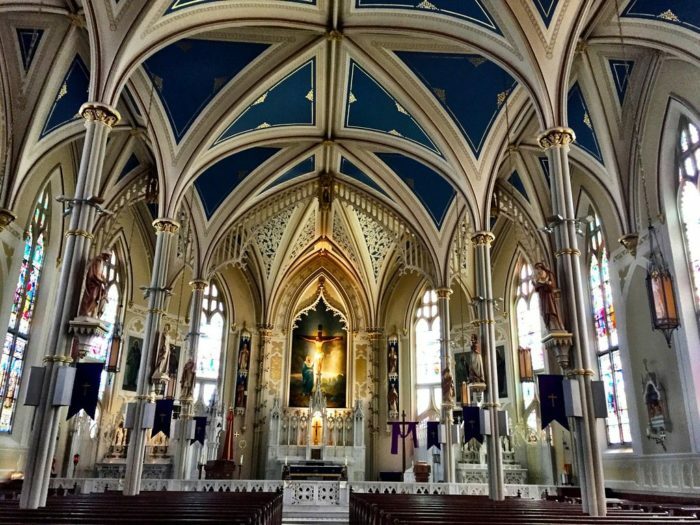 Not only is it located in the historic district Natchez Under-the-Hill, it’s situated right on the banks of the Mississippi River, so incredible views are pretty much guaranteed. The hotel, which is housed in an antebellum building that dates back to the early 1800s, has been completely restored, offering all the modern-day amenities you’re used to. Click here for more information. If you love a good scare, this is the B&B for you because according to Deep South magazine, it’s one of the South’s most haunted hotels. Aside from spooky happenings, the 19th century mansion-turned-inn is known for its beautifully manicured gardens, luxury lodging, and gracious hospitality. Click here for more information. 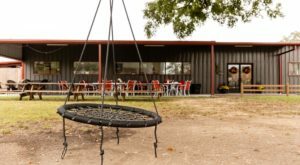 When it comes to location, this B&B has a lot going for it. 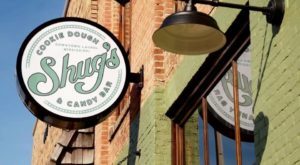 Pilgrimage tour houses, antique shops, restaurants, and the famous 200’ bluffs that overlook the Mighty Mississippi are all just a short walk from the B&B. 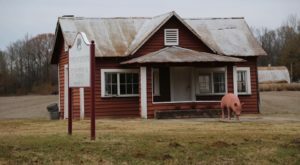 The Natchez Trace and historic Blues Highway are not too far either, meaning guests will have no difficulty finding ways to occupy their time. Click here for more information. When it comes to bragging rights, this inn has definitely got them! 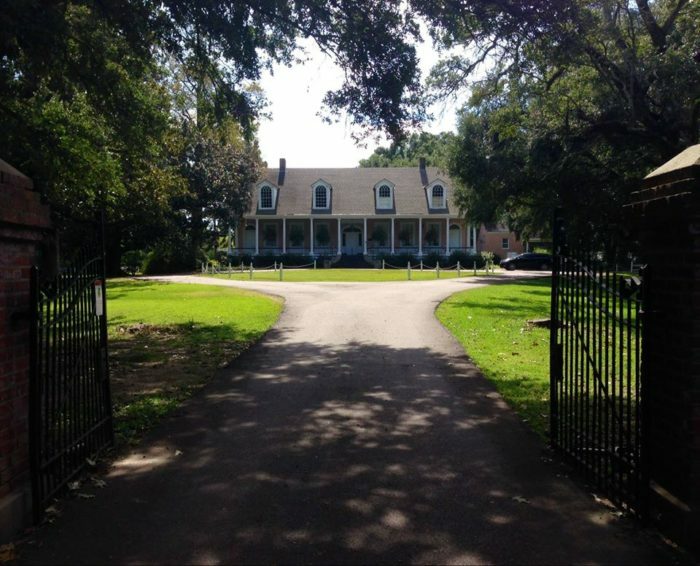 Not only was it ranked the top bed and breakfast in Natchez, it was ranked the number one bed and breakfast in the whole country and the third best in the entire world. Click here for more information. 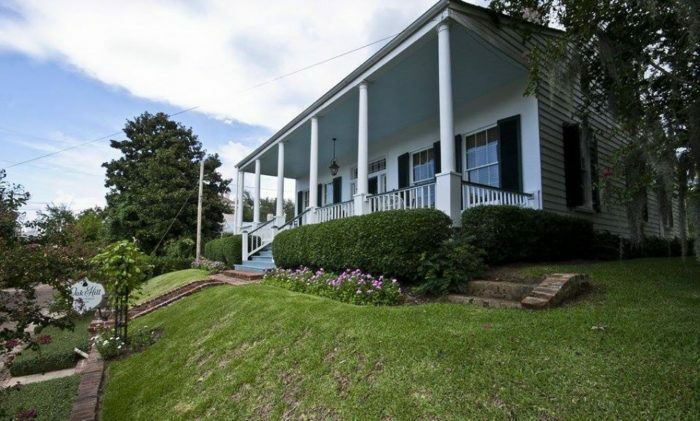 Built in about1812, this B&B is bound have a history and have a history it does - it's most known for being the site of the marriage between Jefferson Davis and Varina Howell. The hotel sits atop the highest bluff on the Mississippi River south of St. Louis on a sprawling 20 acres. Named the "most secluded bed and breakfast" for several years, it’s the perfect getaway. Click here for more information. 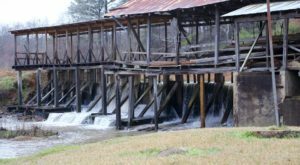 With its origins dating back to the 1700s, Linden is one of the most historic spots in Mississippi. It's also one of the most haunted, depending on who you ask. A phantom horse-drawn carriage and apparitions of a man and woman have all been spotted at the B&B. Hauntings are not the only notable feature of Linden, though. There’s also the fact that its front door was replicated for the front door of Tara in "Gone with the Wind." Click here for more information. Experience the "grandeur" of the old South at this historic B&B. And just to make sure you don’t miss a thing, guests are treated to complimentary tours of the mansion, which is full of antiques and period furnishings. 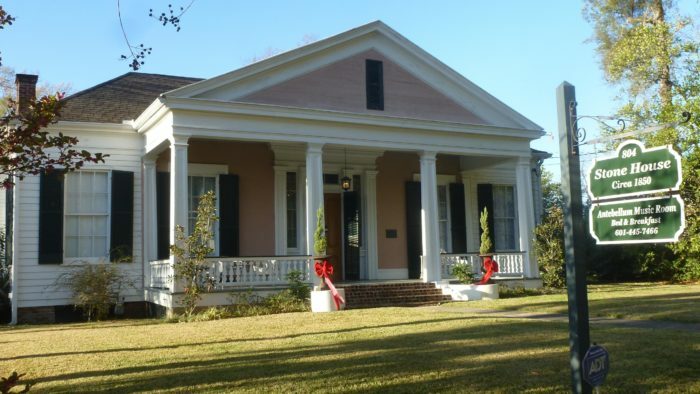 Conveniently located, downtown Natchez is just a short 2-minute walk from Choctaw Hall. Click here for more information. When it comes to amenities, this B&B offers a little bit of everything – from historic surroundings and beautiful grounds to great cuisine. It’s housed in a home that dates back to 1852, so the history is plentiful. And with 10 acres of beautifully restored gardens, the views are just as bountiful. To truly make guests feel at home, the B&B will accommodate special dietary needs. Click here for more information. 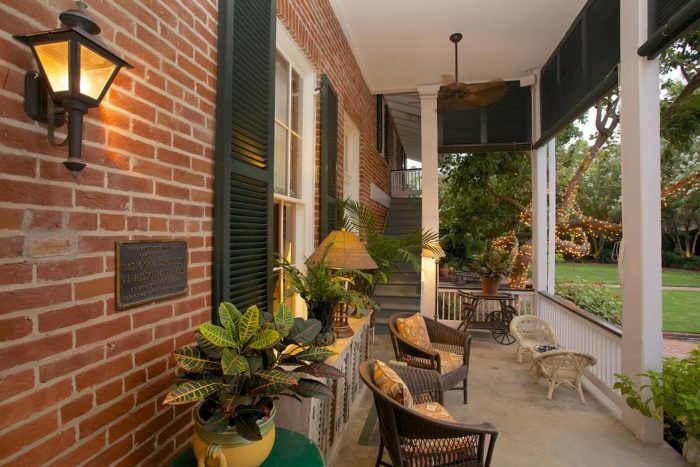 This B&B has been dubbed "a serene oasis in the heart of historic Natchez" – and it definitely lives up to the nickname. In addition to a beautiful courtyard and comfy accommodations, the inn is just two blocks from the Mississippi River and downtown Natchez. Click here for more information. 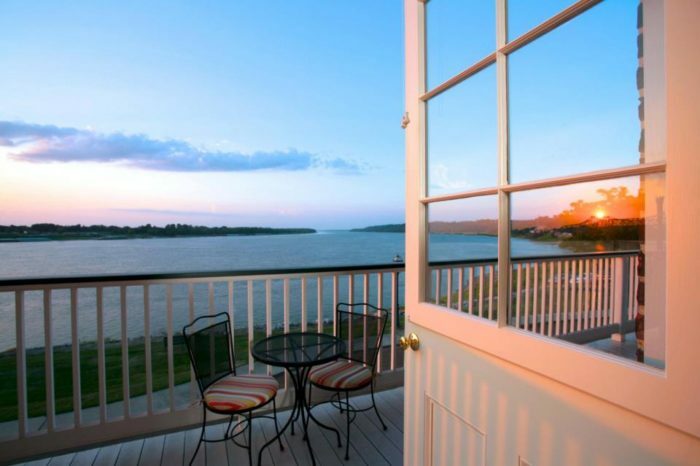 Offering peaceful seclusion and beautiful riverfront views, this B&B is the perfect place for an in-state getaway. 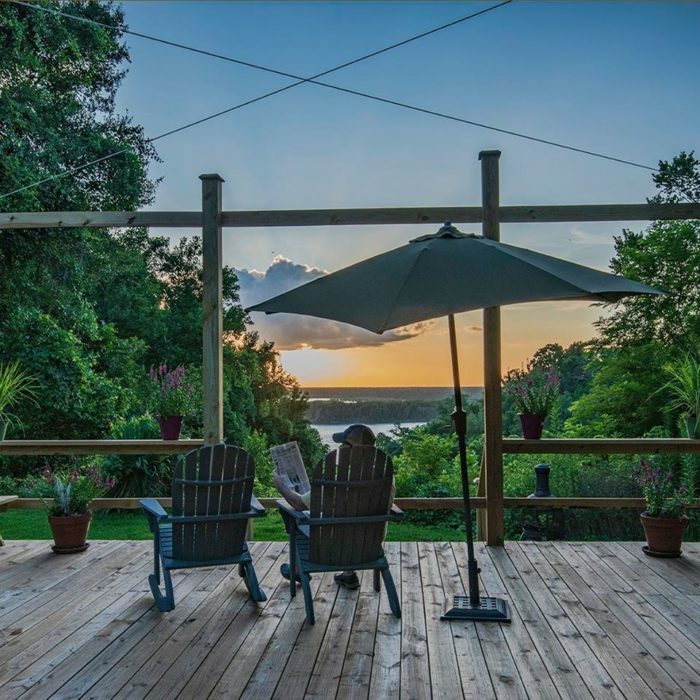 The former Victorian farmhouse features cozy accommodations, lush gardens, and a spacious deck that provides the perfect spot for taking in views of the nearby Mississippi River. Click here for more information. 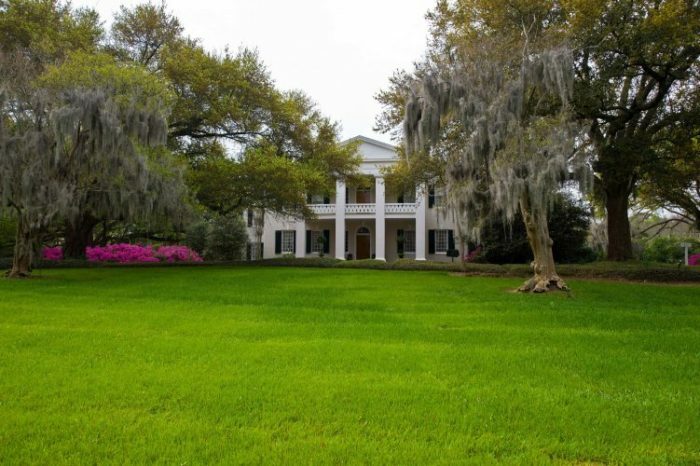 Though the number of B&Bs is impressive, they’re not all Natchez has to offer. 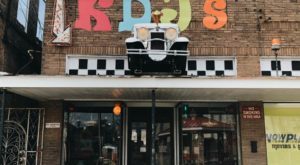 Dating back to 1716, the city is home to more than 1,000 structures listed on the National Register of Historic Places. There are several ways to take in the impressive structures from the past. Visit on a nice day, and you can simply walk around and admire the homes from the outside. Or, if you have more time, you can take individual tours of the homes. 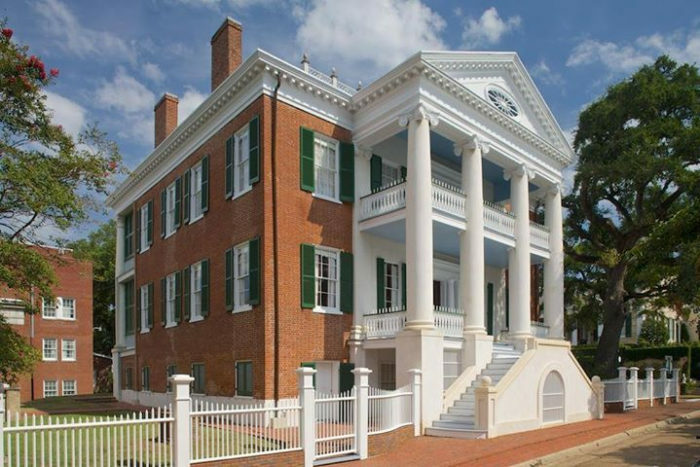 The Natchez Historic City Tour is also a great option. 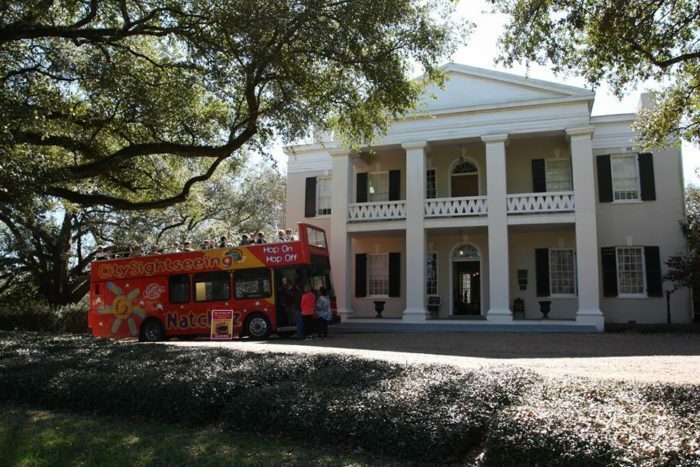 Ride the double-decker bus to over 40 of Natchez’s historic buildings, homes, and churches. Even better, it’s a "hop on, hop off" tour, so you can get off and explore any site that catches your eye. 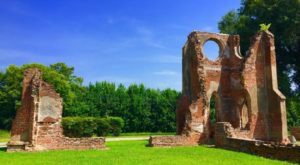 Other must-visit attractions in Natchez include the Natchez Trace Parkway, Natchez National Historical Park, the city cemetery, and St. Mary Basilica. 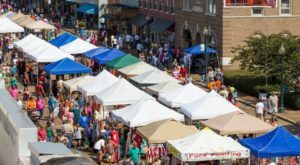 Check out the Visit Natchez Facebook page for more information on what the city has to offer. Remember, this is just the tip of the iceberg when it comes to B&Bs in Natchez. 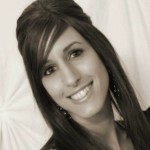 Click here for a complete list. Looking for another must-visit B&B? Click here.